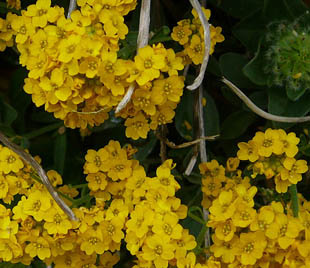 Mainly April to June, but can be found through to October. more common in the South. and on walls since the early 1700s. 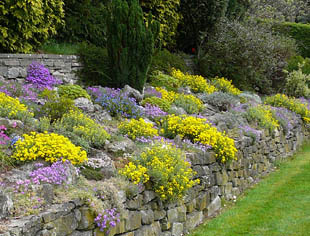 are grow on waste ground, walls and rocks. 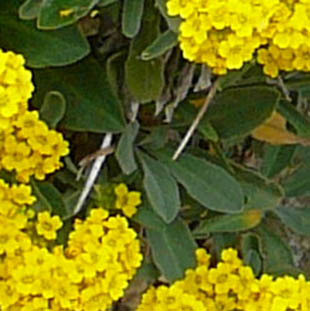 Golden Alison is a woody, perennial herb growing up to 25cm. 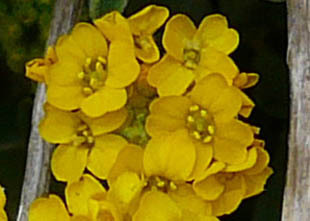 The flowers have 4 bright yellow petals. Leaves are grey-green in colour.